Afrivista Tours Stellenbosch South Africa .Wine Tours is our speciality! / General Tour Photo Gallery / Tour Action Photo's / Here's Roland at Rustenburg winery, with his hands full! 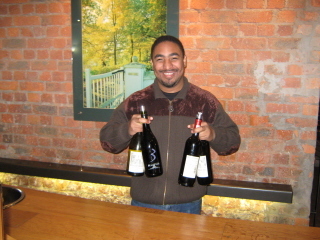 Here's Roland at Rustenburg winery, with his hands full!